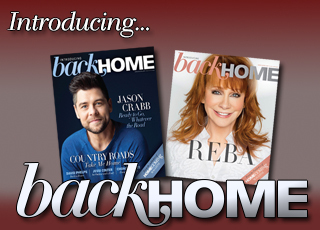 MELISSA BRADY leads a full life of singing, speaking, writing, teaching and spending time with husband Jim Brady of The Booth Brothers. 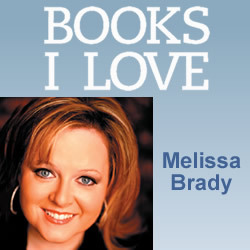 An avid reader, Melissa reveals four of her favorites. My love of words began when I was a little girl. I spent most of my allowance on books and, while other kids were out playing, I could usually be found snuggled up with my latest treasure. As a young wife, I wanted to make the best of the new life Jim and I were starting together, so I was always on the lookout for books that promised help in becoming a better wife and homemaker. It was during this time that I was introduced to Emilie Barnes and she quickly became one of my favorite authors. 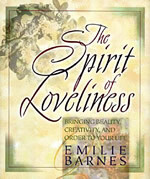 The Spirit of Loveliness is my all-time favorite book by Emilie Barnes. In it, I learned that my life isn’t made better because of how big my house is; it’s made better by the beauty I bring into it. It made such an impact on my life, I’ve purchased and given it away more times than I can count. Over the past few years, I’ve realized how much my love of words is an integral part of who I am, and that realization has been life-changing. More and more, I’m pouring this love into my personal writing and it gives me such a passion for life, I wake up each morning with a smile. 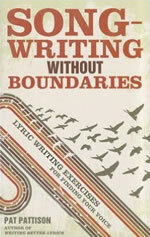 Longing to grow as a writer, I began reading Pat Pattison’s books and Songwriting Without Boundaries is fantastic. Pat has helped me make a paradigm shift in my thinking, so that instead of only writing when I feel inspired, I’m a writer every day. I wake up as a writer, I see the world differently throughout my day, and I’m a writer until I fall into bed at night. Sometimes, I’m even a writer in my sleep, dreaming of stories and songs. Also, Pat encourages writers to delve deeper, write fearlessly and find your true writer’s voice. Inspiration indeed! 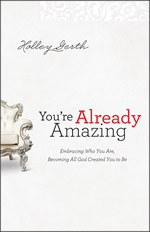 My latest favorite is a book by Holley Gerth titled You’re Already Amazing and, by the end of the first chapter, I realized this is another book I’ll give away over and over again. In it, Holley explains that God gives us both skills and strengths and, while our skills are what we DO, it’s our strengths that make up who we ARE. Often, when we experience a life transition, we find ourselves using different skills than we used before the transition and we can easily find ourselves questioning our place in the world. We sometimes wonder what we’re supposed to do now that things have changed. Holley encourages us to take confidence in the fact that, even though we may change, the skills we use for God — our strengths— will never change. Who we are in Him remains the same and we aren’t limited in how He can use us. Isn’t that exciting? 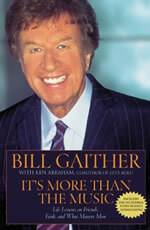 I can’t go without mentioning Bill Gaither’s book, It’s More Than the Music, because it has made an incredible impact on my life. Woven throughout its pages is evidence of God’s hand on Bill and Gloria’s lives and, any writer who looks to them for inspiration should hold this realization close — God is at the heart of it all. I now look at my life through this lens and it’s given me a great sense of peace. I find it easier to say both no and yes, because I’m filtering my opportunities with the simple question “Is this a good decision? Or is this the BEST decision?” Words of wisdom that I’ll take all throughout my life!